The ChinaCareers Event is the perfect place to find potential new colleagues and partners. 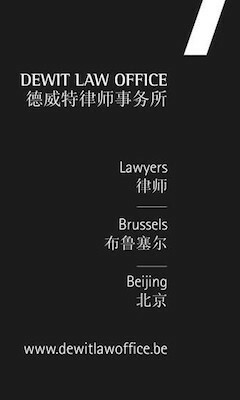 Each year since 8 editions, a dozen of Belgian and Chinese companies join the job fair in the search of young or experienced talents with the necessary knowledge to integrate their team.. This year, we were pleased to welcome Bank of China (Luxembourg) S.A. Brussels Branch, Techwin, BDO Services, Soudal NV, ICBC (Europe) S.A. Brussels Branch, Project Engineering and Contracting nv (PEC), RoboJob nv, Start2Bric Vandeputte Consulting, Aporol Trading BVBA, Wienerberger NV and Liège Airport, next to VOKA and the BCECC. 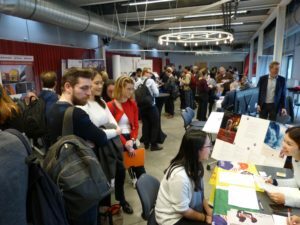 More than 150 students from all over Belgium attended our China-specific job fair!